During the night, the euro strengthened against the dollar. This morning, the euro is exchanging for $ 1.1609, which at the beginning of the European session shows a strengthening of the euro by 0.14%. This morning, data showed Germany’s higher trade surplus in foreign exchange. At 2:30 pm, regular data from the US labor market will be published (on newly created jobs in the United States in the last week). During the night, the dollar weakened against the British pound. This morning, this currency pair is at $ 1,3139 per pound, which means the weakening of the dollar by 0,22%. At 14:30, a regular US labor market data (on newly opened jobs in the United States in the last week) will be published, and half an hour ahead of that, a forecast of GDP growth in the UK, published by the local economic institute. During the night, yen strengthened against the dollar, although the balance of current transactions was worse than expected. the night, this currency pair is traded at 113.59 yen per dollar, which at the beginning of the European session makes the yen stronger than the dollar by 0.23%. At 2:30 pm, regular data from the US labor market will be published (on newly created jobs in the United States in the last week). Gold prices are on the rise during the night, as the dollar is weakening and so gold prices rose by 0.11%. Crude oil prices rose during the night and made up for some of the losses since yesterday when data on crude oil stocks rose in the US. Early this morning, crude oil is traded about $ 56.79 per barrel, which drops about 0.13%. Dax30 rose slightly on Wednesday (+ 0.02%), closing at 13382 points. The loser of the day was Heidelberg cement company whose share fell 6.59%. This morning, data showed Germany’s higher trade surplus in foreign exchange (21.8 billion euros, and expected 21.1). During the Asian trade, the euro weakened against the dollar. At 8:40 am, the euro is exchanging for $ 1.1637, which at the beginning of the European session shows a gain of 0.04%. There are no economic news from the EU today. At 16:00 hours, a set of pointers of the Michigan University sentiment from the United States is expected. During the Asian trading, the dollar strengthened against the British pound. At around 08:30, this currency pair is at a level of $ 1.3123 per pound, which means a gain of 0.17%. At 10:30, production data in the manufacturing sector and UK trade balance data will be published. At 16:00 hours, a set of pointers of the Michigan University sentiment from the United States is expected. The price of gold has been declining during Asian trade. During Asian trading, gold prices fell by 0.25%. The price of crude oil declined during Asian trade, but strengthened at a newly-introduced high level. Tonight at 7:00 pm, data on the number of newly opened oil wells in the United States is expected. Before the end of the Asian session, crude oil is traded about $ 57.02 per barrel, which gives a drop of around 0.26%. Dax30 slipped slightly on Thursday (-1.49%) to 13183 points. The loser of the day was Adidas, whose share fell 4.67%. During the night, the euro weakened against the dollar as yields on US bonds rose. 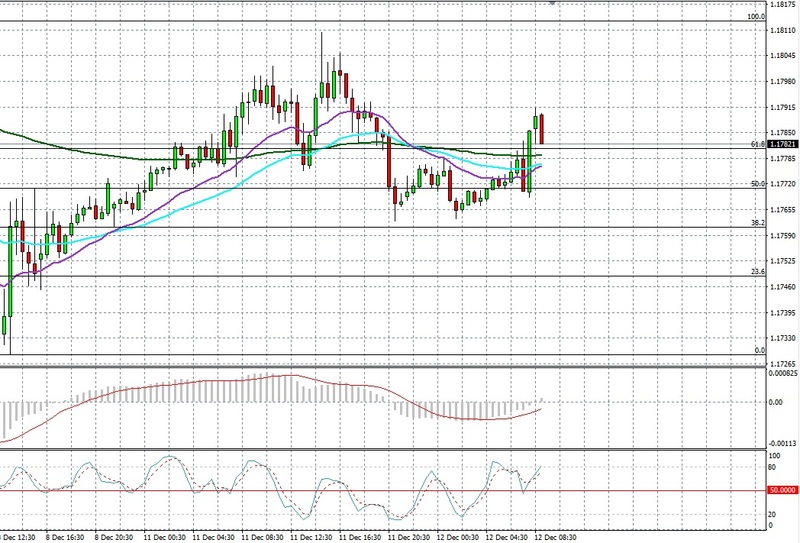 This morning, the euro is exchanged for $ 1.1637, which at the beginning of the European session shows a gain of 0.13%. Today, there are no economic news and announcements from the EU, and in the United States, the public’s focus is still on the final look of the tax reform solution and from when it will apply. During the night, the dollar strengthened against the British pound, as turbulence in the UK over the legitimacy of the government of Theresa May pushed the pound. This morning, this currency pair is at $ 1.3129 per pound, which means the dollar gain of 0.65%. Today there are no economic news and announcements from UK and USA. During the night, yen strengthened against the dollar. This morning, this currency pair is traded at 113.39 yen per dollar, which at the beginning of the European session the Japanese yen seems weaker against the dollar by 0.12%. Today there are no economic news and announcements from the United States, but at 18:45 GMT+1 time the BoJ Governor Kuroda will held a speech, which may indicate some future changes on the monetary policy of Japan. Gold prices are on the rise during Asian trade. During Asian trading, the price of gold rose by 0.19%. During the night, the price of crude oil generally remained at the level it ended in the previous week. It has been reported that a strong earthquake in Iraq has caused minor concerns in terms of supplies from that Arab state. The number of newly opened oil wells in the US has increased by nine units, a Baker Hughes regular report showed Friday. At the end of the Asian session, crude oil is traded about $ 56.77 per barrel, which gives an increase of about 0.10%. 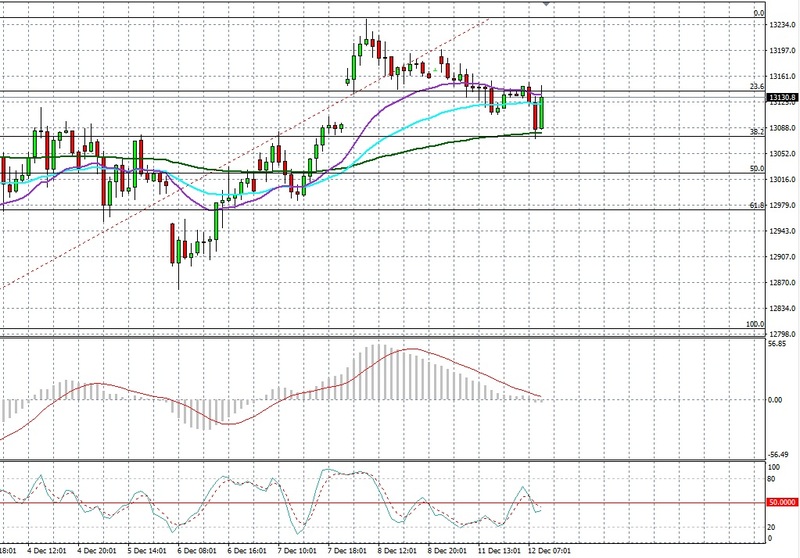 Dax30 fell on Friday (-0.42%) closing at 13127 points. The winner was Deutsche Bank (+ 3.14%) and Adidas (+ 3.13%). During the Asian trade, the euro strengthened against. At around 8:20 pm, the euro is exchanged for $ 1.1809, which at the beginning of the European session shows a strengthening of the euro by 0.1%. At 11:00 am, the trade balance of the euro zone will be published. At 2:30 pm, baseline inflation and retail data from the United States are expected, and at 16:00 hours the stock of the business world stock is expected. During the Asian trading, the pound strengthened against the US currency. At around 08:30, this currency pair is at $ 1,3182 per pound, which means a gain of 0.11%. At 10:30, data from the UK labor market are expected. At 2:30 pm, baseline inflation and retail data from the United States are expected, and at 16:00 hours the stock of the business world stock is expected. During Asian trading, yen strengthened against the dollar. At around 8:40 am, this currency pair is traded at 112.98 yen per dollar, which at the beginning of the European session makes the yen stronger than the dollar by 0.41%. At 2:30 pm, baseline inflation and retail data from the United States are expected, and at 16:00 hours the stock of the business world stock is expected. The price of gold slipped during Asian trading. During Asian trading, the price of gold fell by 0.4%. During the Asian trade, the price of crude oil declined sharply, as yesterday’s report of the International Energy Agency showed reservations regarding the balance of world supply and demand for this energy product. Also, the US Petroleum Institute announced last night that a strong stock growth of more than 6 million barrels has been recorded and a drop was expected. At 16:30, regular official data on the stock of crude oil and petroleum products from the United States are expected. At the end of the Asian session, crude oil is traded about $ 55.05 per barrel, which gives a drop of about 1.17%. Dax30 dropped on Tuesday (-0.31%), closing at 13033 points. The day’s winner was Infineon (+ 2.66%) and Adidas (+ 1.93%). During the Asian trade, the euro has weakened against the dollar by stopping a strong growth that has been going on since the beginning of this week. At around 8:20 pm, the euro is exchanged for $ 1.1784, which at the beginning of the European session shows a gain of 0.06%. At 11:00, data on inflation growth in the euro zone are expected. At 14:30, the latest index of economic activity in the processing sector of the Federal Reserve branch of Philadelphia will be published. During the Asian trading, the dollar strengthened against the British pound. At around 8:25 am, this currency pair is at $ 1,3141 per pound, which means a gain of $ 0.24%. At 10:30, a retail data set is expected in the UK. At 14:30, the latest index of economic activity in the processing sector of the Federal Reserve branch of Philadelphia will be published. During Asian trading, yen weakened against the dollar. At around 8:25 pm, this currency pair is traded at 113.22 yen per dollar, which at the beginning of the European session jen makes it weaker against the dollar by 0.3%. At 14:30, the latest index of economic activity in the processing sector of the Federal Reserve branch of Philadelphia will be published. The price of gold slid slightly during Asian trade. During Asian trading, gold prices fell by 0.13%. During the Asian trade, crude oil prices generally remained at levels yesterday, although crude oil stocks rose yesterday despite the expected decline. At the end of the Asian session, crude oil is traded about $ 55.37 per barrel, which gives a modest growth of about 0.07%. 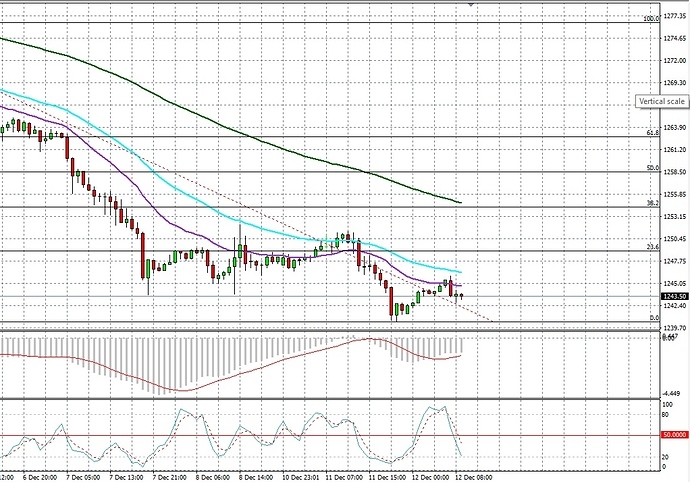 Dax30 fell on Wednesday (-0.44%), closing at 12976 points. The winner of the day was the share of Deutsche Bank (+ 1.91%) and Komerc bank (+ 1.84%). During the Asian trade, the euro weakened against the dollar, although the lower house of the Congress adopted a tax reform package. The Senate is now expected to begin debating. At around 08:30, the euro is exchanged for $ 1.1798, which at the beginning of the European session shows a strengthening of the euro by 0.24%. At 9:30 am, it is expected the address of Maria Dragi, the ECB’s president, not a gathering that does not have a purely monetary sign. At 14:30, the latest number from the US real estate market (on newly issued building permits) will be announced. During Asian trading, the dollar weakened against the British pound. At around 08:30, this currency pair is at a level of $ 1.3241 per pound, which means a pound gain of 0.36%. At 10:30, a retail data set is expected in the UK. At 14:30, the latest number from the US real estate market (on newly issued building permits) will be announced. There are no economic news and announcements from the UK today. During Asian trading, yen weakened against the dollar. At around 08:30, this currency pair is traded at the level of 112.59 yen for one dollar, which at the beginning of the European session is rising stronger against the dollar by 0.42%. At 14:30, the latest number from the US real estate market (on newly issued building permits) will be announced. Gold prices rose slightly during Asian trading. A number of investors say that after the adoption of a tax reform in the lower house of the US Congress, there is a higher chance of a rise in inflation. During Asian trading, gold prices rose by 0.13%. During Asian trade, crude oil prices are rising. At 19:00, the latest number on the number of oil wells in the United States will be released. At the end of the Asian session, crude oil is traded about $ 55.34 per barrel, which gives an increase of about 0.36%. Dax30 rose on Thursday (+ 0.55%) closing at 13047 points. The winner of the day was Infineon’s share (+ 3.46%). The euro weakened against the US dollar during the Asian trade. German Chancellor Angela Merkel said she would report to the German president on the unsuccessful negotiations over a coalition government that the Green Party and the Free Democrats Party should have made. As a reaction, the euro has weakened against the US dollar. During this day, more European Central Bank officials will speak in the afternoon, as will President Mario Draghi, which can be further reflected in the exchange rate of this currency pair. 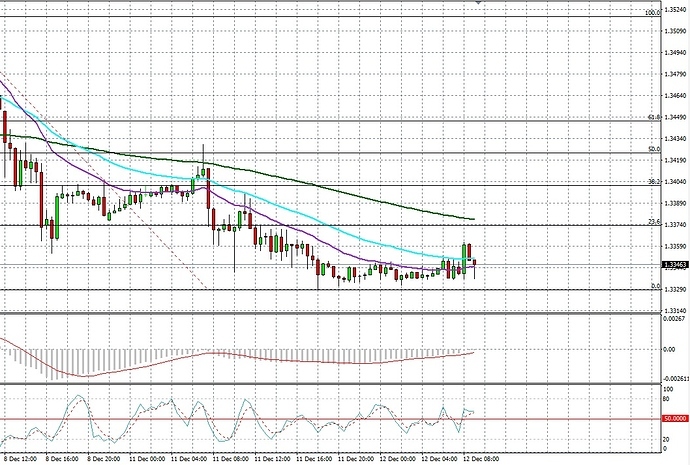 During the Asian trade, the euro weakened against the US dollar by 0.49%. The British pound weakened against the US dollar during Asian trading. For now, the announcement of significant economic information from the UK and the US has not been announced, so that the exchange rate of this currency could remain under the current fundamental effects of primarily negotiations on the UK’s EU outbreak and further development of the implementation of tax reform in the United States. During the Asian trading, the British pound weakened against the US dollar by 0.08%. The US dollar weakened against the Japanese yen during Asian trading. This morning, a mixed balance of trade balance data in Japan, which has so far affected the weakening of the exchange rate of this currency pair. Also, the US currency is still under diminishing pressure, mainly due to further progress in the introduction of tax reform in the US and special investigations into alleged Russian involvement in the US presidential election. During the Asian trade, the US dollar weakened by 0.04% against the Japanese yen. During Asian trade, the price of crude oil has weakened. On Friday, the Baker Hughes report showed that the number of newly opened oil wells in the US did not change, remained at the number of 738. The current Asian trading session is marked by relatively peaceful trading, which is explained by the expectation of the forthcoming meeting of the OPEC cartel in Vienna on November 30th, which should consider prolonging the agreement on reducing the production of this energy product. During Asian trade, the price of crude oil declined by 0.14%. Dax30 fell by 0.41% on Friday. The largest decline was recorded in the shares of the base industry, the media and the software industry. From the winners, Linde AG O.N (+ 2.60%) and the losers of RWE AG (-3.93%) were singled out. The index of volatility on the German index, which shows the sentiment (fear) of the investor regarding the expected volatility in the future period, dropped to 14.05 points or a decrease of 1.59%. During the Asian trading, the euro strengthened against the dollar. US bond yields did not rise, so the dollar failed to keep much of the gains it recorded yesterday. Janet Jelen said last night that the Fed is pretty close to achieving the goals of its monetary policy. Today there are no economic news and announcements from the euro zone. At 2:30 pm, a set of data on orders for permanent US consumer goods will be published, an hour and a half later, and a consumer sentiment indicator at the Michigan University. During Asian trading, the dollar weakened against the British pound. At 13:00, the UK Treasury will present its autumn announcement to Parliament. At 2:30 pm, a set of data on orders for permanent US consumer goods will be published, an hour and a half later, and a consumer sentiment indicator at the Michigan University. During Asian trading, yen strengthened against the dollar. At 2:30 pm, a set of data on orders for permanent US consumer goods will be published, an hour and a half later, and a consumer sentiment indicator at the Michigan University. The price of gold has moderately increased during Asian trading on the account of a slight weakening of the dollar. During Asian trading, gold prices rose by 0.13%. During Asian trade, crude oil prices recorded strong growth. The US petroleum institute has reported a much higher decline in oil reserves in the US compared to expectations. Also, the discontinuation of supplies from Canada to the United States has affected growth. Before the end of the Asian session, crude oil is traded about $ 57.83 per barrel, which gives an increase of about 1.76%. Dax30 rose on Tuesday (+ 0.83%), closing at 13168 points, despite a poor impression of the political situation in Germany that is in the heart of the world’s public. The winner of the day was Infineon (+ 3.29%). During the Asian trading, the euro strengthened against the dollar. Yesterday, the notes from the last Federal Reserve meeting showed that the belief is that the US economy stands well, and that high price growth in the stock market poses a potential danger. This morning, data on GDP growth in Germany for the third quarter remained at the expectation level (+ 0.8%). At 9:15 am, a preliminary indicator of economic activity in Germany will be announced for November. Today is a non-working holiday in USA, Thanksgiving Day. During the Asian trade, the dollar has confirmed large losses against the British pound Yesterday, the notes from the last Federal Reserve meeting showed that the belief is that the US economy stands well, and that high price growth in the stock market poses a potential danger. Today is a non-working holiday in USA, Thanksgiving Day. During the Asian trade, the yen kept big gains from yesterday against the dollar. Today is a non-working holiday in Japan, a Thanksgiving Day, as well as in the United States. The price of gold lost a small portion of the high growth that was recorded yesterday due to a strong weakening of the dollar. During Asian trading, gold prices fell by 0.16%. During the Asian trade, the price of crude oil recorded a slight withdrawal relative to the strong growth last night. The decline in crude oil stocks in the US yesterday contributed to the rising trend in oil prices. At the end of the Asian session, crude oil is traded about $ 57.89 per barrel, which drops about 0.22%. Dax30 fell on Wednesday (-1.16%), closing at 13015 points. The loser of the day was Infineon’s share (-2.72%). This morning, data on GDP growth in Germany for the third quarter remained at the expectation level (+ 0.8%). The euro strengthened against the US dollar during the Asian trade. Due to the relaxation of the political crisis in Germany and the better business climate in Germany, the common European currency has reached the highest value in the last two months against the dollar. At 4:00 pm in the United States, data on the number of new houses sold will be published, which can be further reflected in the exchange rate of this currency pair. During the Asian trade, the euro strengthened against the US dollar by 0.03%. The British pound weakened against the US dollar during Asian trading. At 4:00 pm in the United States, data on the number of new houses sold will be published, which can be further reflected in the exchange rate of this currency pair. During the Asian trade, the British pound weakened against the US dollar by 0.15%. The US dollar weakened against the Japanese yen during Asian trading. The disappointing data of the procurement managers index (PMI) of the manufacturing and service sector, released in the US on Friday, are still the dominant factor in weakening the US currency against the Japanese yen. At 4:00 pm in the United States, data on the number of new houses sold will be published, which can be further reflected in the exchange rate of this currency pair. During the Asian trading, the US dollar weakened against the Japanese yen by 0.10%. The price of gold weakened during Asian trade. The decline in the US currency to its lowest value in the last two months has affected the price growth of secure investments, including gold. At 16:00 in the United States, data on the number of new homes sold will be published, which can be further reflected in the cost of this secure investment. During Asian trading, the price of gold increased by 0.18%. During Asian trade, the price of crude oil has weakened. The increase in production in the United States has currently assumed a major impact on the price of this fuel. On Thursday, the OPEC and Russia cartel will meet in Vienna to consider prolonging the agreement to reduce crude oil production and thereby try to bring the oil derivatives market back to equilibrium. During Asian trade, the price of crude oil declined by 0.53%. Dax30 gained 0.39% on Friday. Shares of the chemical industry, insurance and software industry recorded the highest growth. Of the winners, BASF (+ 2.91%) and the loser Adidas AG (-0.96%) were singled out. The index of volatility on the German index, which shows the sentiment (fear) of the investor regarding the expected volatility in the future period, has risen to 13.37 points, ie it has increased by 1.20%. During the night, the euro strengthened against the dollar. Progress has been made to date with regard to the tax reform in the Senate. This morning, the Euro is exchanged for $ 1,1915, which at the beginning of the European session shows a strengthening of the euro by 0.12%. At 16:00 pm (ISM) is expected (sentiment) about the dynamics of economic activity in the US manufacturing sector. During the night, the dollar weakened against the British pound. This morning, this currency pair is at a level of $ 1.3523 for one penny, which means a 0.04% increase in the dollar. At 16:00, expected ISM data from the United States is expected. During the night, the yen dwindled slightly against the dollar. Japan’s inflation figures were mostly on the level of expectations. This morning, this currency pair is traded at a level of 112.62 yen for one dollar, which at the beginning of the European session makes it weaker than the dollar by 0.08%. At 16:00 pm (ISM) is expected (sentiment) about the dynamics of economic activity in the US manufacturing sector. The price of gold grew treasantly during Asian trading because there was no vote in the Senate on tax law, as it was initially planned. Early this morning, the price of gold rose by 0.13%. During the night, crude oil prices are rising. At the OPEC meeting in Vienna, it was decided that the production restriction program would be extended by the end of next year, with the possibility of revising the agreement at the next meeting in June. 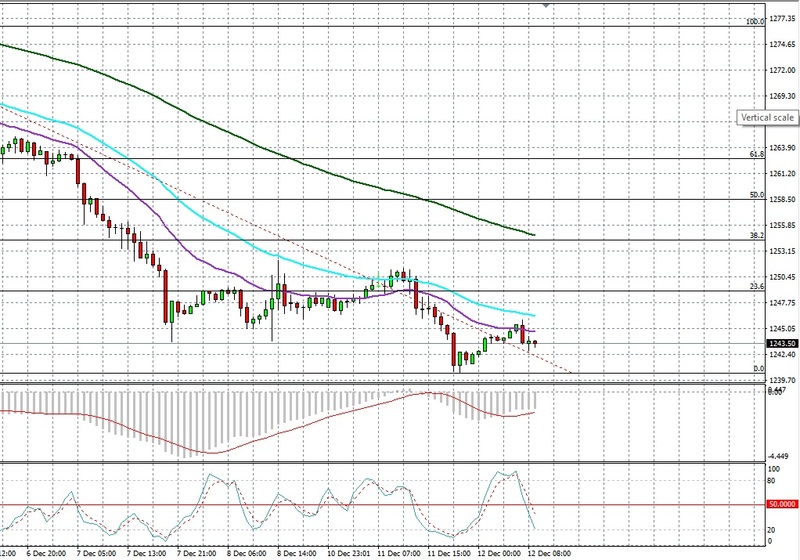 Towards the end of the Asian session, crude oil is traded for about $ 57.59 per barrel, giving rise to about 0.33%. Dax30 dropped (-0.29%) on Thursday, closing at 13024 points. The winner was Continental (+ 1.87%). During the Asian trade, the euro weakened against the dollar. On Friday, a tax reform package was adopted in the Senate, which made the dollar stronger. At around 08:30, the euro is exchanged for $ 1.1840, which at the beginning of the European session shows a gain of 0.47%. Today (informal) meeting of euro zone finance ministers is taking place, and at 11:00 hours the latest index of producer prices in the euro zone will be announced. At 16:00, Factory Orders are expected to be posted in the US. During the Asian trading, the dollar strengthened against the British pound. The Senate has adopted its version of the tax law and now only remains to be agreed with the lower house of the Congress. At around 08:30, this currency pair is at $ 1,3427 per pound, which means a gain of 0.33%. At 10:30, an economic activity indicator in the construction sector of the UK is expected, and from the USA, at 16:00, factory orders. During Asian trading, yen weakly weakened against the dollar. The Senate has adopted its version of the tax law and now only remains to be agreed with the lower house of the Congress. At around 08:30, this currency pair is traded at the level of 113.05 yen per dollar, which at the beginning of the European session yen makes the weaker against the dollar by 0.08%. At 16:00, the factory orders in the United States are expected. The price of gold fell during Asian trade, as the US Senate passed a tax law. During Asian trading, the price of gold fell by 0.51%. During Asian trade, the price of crude oil declined. On Friday, the number of wells increased to two units (a total of 479). At the end of the Asian session, crude oil is traded about $ 57.91 per barrel, which gives a fall of around 0.77%. 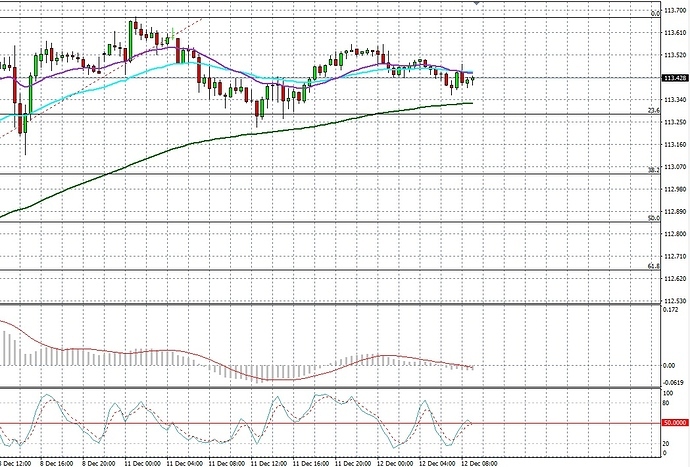 Dax30 fell strongly on Friday (-1.25%), closing at 12861 points. The loser of the day was the shares of Tisenkrup (-2.94%). The euro weakened against the US dollar during the Asian trade. Today at 11:00, data on the gross domestic product of Euro zone will be published, which can be reflected in the exchange rate of this currency pair. During the Asian trade, the euro weakened against the US dollar by 0.05%. During the Asian trade, the British pound weakened against the US dollar by 0.14%. The US dollar strengthened against the Japanese yen during Asian trade. Today at 14:30, information on the number of applications for new unemployed persons will be published, which can be reflected in the exchange rate of this currency pair. During the Asian trade, the dollar strengthened against the Japanese yen by 0.29%. The price of gold weakened during Asian trade. Moderate optimism about the further steps in the tax reform influenced the weakening of safe investments, which affected the weakening of the prices of safe investments. Today at 14:30, information on the number of applications for new unemployed persons will be published, which can be reflected in the exchange rate of this currency pair. During Asian trading, the price of gold declined by 0.50%. During Asian trade, the price of crude oil has weakened. Although yesterday’s US government report showed a decline in crude oil stocks, the rise in gasoline stocks affected the price of this fuel. During Asian trade, the price of crude oil declined by 0.21%. Dax30 weakened by 0.38% on Wednesday. The largest decline was recorded in cyclical production, transport and technology. Of the winners, Deutsche Boerse (+ 1.03%) and Volkswagen AG lost -2.84%. The index of volatility on the German index, which shows the sentiment (fear) of the investor regarding the expected volatility in the future period, rose to 14.67 points, ie it grew by 4.59%. During the Asian trading, the euro strengthened against the dollar. At around 08:45 hours, the euro is exchanged for $ 1.1782, which at the beginning of the European session shows a strengthening of the euro by 0.11%. At 11:00, a regular indicator (ZEW) of the business climate sentiment in Germany is expected. At 2:30 pm, the data on the growth of the producer price index in the United States is expected. The dollar is in anticipation of the upcoming Federal Reserve meeting, which lasts tomorrow and tomorrow. During Asian trading, the dollar weakened against the British pound. At around 08:45, this currency pair is at $ 1,3348 per pound, which means a pound gain of 0.06%. At 10:30, a regular monthly inflation report is expected in the UK. At 2:30 pm, the data on the growth of the producer price index in the United States is expected. During Asian trading, yen strengthened against the dollar. Japan’s producer price index jumped more than expected, data showed last night. At around 08:45 hours, this currency pair is traded at 113.41 yen per dollar, which at the beginning of the European session makes the yen stronger against the dollar by 0.13%. At 2:30 pm, the data on the growth of the producer price index in the United States is expected. The price of gold is in the fall of Asian trading because the sentiment of the investor is not tilted toward the dollar. Gold is in the expectation of the upcoming Federal Reserve meeting that lasts tomorrow and tomorrow. On the course of Asian trading, the price of gold rose by 0.06%. During Asian trade, the price of crude oil is on the rise. The growing sentiment was supported by the news that there was a suspension of supplies from the North Sea. At the end of the Asian session, crude oil is traded about $ 58.36 per barrel, which gives an increase of about 0.77%. Dax30 fell on Friday (-0.23%), closing at 13124 points. The loser of the day was Adidas’s share (-3.1%). At 11:00, a regular indicator (ZEW) of the business climate sentiment in Germany is expected. Eyes on today Fed Interest Rates Decision (Rates are expected to rise up) and FOMC Meeting. Eurozone CPI inflation data (Preliminary release) ticked down while U.S. GDP preliminary release ticked upper than expected. Last U.S. Nonfarm payrolls and ADP Nonfarm Employment data also surpassed consensus once again. German Ifo and Manufacturing PMI data came again higher than expected. President Draghi said the ECB was becoming increasingly confident that the euro zone’s economic recovery would continue but sluggish growth in wages meant monetary policy needed to remain easy. We expected a strong correction down from 1.185 area and this is happening. Now, either a consolidation phase or a confirmed break with next stop below 1.176 area. Federal Reserve to continue gradual interest rate hikes despite uncertainty about the path of inflation. It “would be imprudent to keep monetary policy on hold until inflation is back to 2%,” she said. UK CPI inflation data and UK Manufacturing Production came higher than consensus. Sterling rose amid hopes that a deal on Brexit would be reached. Nonetheless, we think the sentiment will turn negative very soon, as this deal will be delayed and Pound will discount this heavily overbought speculative situation. UK Retail Sales came better than expected and last UK job market data also better than expected. As written previously, Pound is inside an overbought area. 1.336 – 1.346 area represented a strong Resistance and now prices start to be overheat, so that an overbought pattern triggered and now we expect price to fall below 1.329 area. Carney ruled out imminent rate hikes, warning of weak wage growth and a likely hit to incomes as Britain prepares to leave the European Union. Australia GDP worse than expected is deteriorating the hopes of a future hawkish RBA behaviour, though Retail Sales were higher than expected. The Aussie central bank pointed to potential wage growth ahead as it kept rates steady and retail sales came in stronger than expected. Last Australia building approvals better than expected, while private sector credit pared expectations. Australia AIG Manufacturing Index disappointed analysts’ expectations. RBA’s Lowe said no strong case for near-term change in interest rates but more likely next move in rates is up rather than down. Weakening case for lower rates as the economy picks up. “Inflation and wage growth remain low. Both are expected to increase only gradually over time,” Governor Phil Lowe said. We are Bearish from Neutral and we expect a consolidation phase starting around 0.748, after the important break of 0.757 Demand area. You can fiind here Forex Market News. During the Asian trading, the euro strengthened strongly against the dollar from yesterday afternoon. Yesterday, the Federal Reserve was expected to raise its rate by a quarter percentage. The Fed has disappointed investors, as forecasts for the rate increase in 2018 and 2019 remained at three (possible) magnitudes. At around 08:30, the euro is exchanged for $ 1.1825, which at the beginning of the European session shows a symbolic increase in the dollar by 0.01%. At 09:30, it is expected a regular, but preliminary, indicator of activity in the manufacturing sector in Germany for December. At 14:30 hours, a retail data set for the US for November is expected, as well as a regular weekly report from the labor market. During Asian trading, the dollar weakened against the British pound. The Fed has disappointed investors, as forecasts for the rate increase in 2018 and 2019 remained at three (possible) magnitudes. At around 08:30, this currency pair is at $ 1,3429 per pound, which means a pound increase of 0.09%. At 10:30, a regular monthly retail report is expected in the UK. At 2:30 pm, a retail data set for the US for November is expected, as well as a regular weekly report from the labor market. During Asian trading, yen weakened against the dollar. Industrial production in Japan in October was at the expectation level (+ 0.5%). At around 08:30, this currency pair is traded at the level of 112.74 yen for one dollar, which at the beginning of the European session jen seems to be weaker against the dollar by 0.18%. At 2:30 pm, a retail data set for the US for November is expected, as well as a regular weekly report from the labor market. During Asian trade, the price of crude oil is on the rise as the stock of US stocks has fallen for the fourth week in a row, according to official data yesterday late in the afternoon. At the end of the Asian session, crude oil is traded about $ 56.78 per barrel, which gives an increase of about 0.32%. Dax30 fell on Wednesday (-0.44%), closing at 13,126 points. The loser of the day was RWE St (-13.06%). At 09:30, it is expected a regular, though preliminary, indicator of activity in the manufacturing sector in Germany for December. During the night, the euro strengthened against the dollar. On Friday, the Social Democratic Party of Germany decided to enter into negotiations with the Angela Merkel coalition. This morning, the euro is exchanged for $ 1.1765, which at the beginning of the European session shows a strengthening of the euro by 0.15%. At 11:00, a regular report on inflation in the euro zone is expected. Today there are no major economic news and announcements from the United States. The dollar is awaiting confirmation of tax reform by the US president, until Christmas. During the night, the dollar weakened against the British pound. This morning, this currency pair is at $ 1,3345 per pound, which means the pound increase of 0.2%. At 12:00, a regular monthly report on industrial procurement in the UK is expected. Today there are no major economic news and announcements from the United States. The dollar is awaiting confirmation of tax reform by the US president, until Christmas. During the night, yen weakly weakened against the dollar, although it was announced last night that Japan’s exports and surplus of foreign trade increased. This morning, this currency pair is traded at 112.63 yen per dollar, which at the beginning of the European session yen decreased more than the dollar by 0.07%. Today there are no major economic news and announcements from the United States. The dollar is awaiting confirmation of tax reform by the US president, until Christmas. Gold prices are on the rise during Asian trade, as the dollar is in a mild withdrawal against the major currencies. During Asian trading, the price of gold rose by 0.13%. During the night, the price of crude oil is declining. The growing sentiment is supported by news that supplies from the North Sea are still suspended. The number of newly opened boreholes decreased by four units, data showed in Baker Hughes on Friday. Before the end of the Asian session, crude oil is traded about $ 57.68 per barrel, which gives an increase of about 0.64%. Dax30 rose on Friday (+ 0.27%), closing at 13104 points. The winner of the day was E.ON (+ 2.22%). The euro weakly weakened against the US dollar during the Asian trade. This morning it was announced that the Senate of the US Congress adopted the final version of the law on tax reform. The House of Representatives is also expected to adopt the final version and send the bill to the US President Donald Tramp. At 16:00 hours in the United States, information on the number of sold homes will be published, which can also be reflected in the exchange rate of this currency pair. During the Asian trade, the euro weakened against the US dollar by 0.05%. The British pound strengthened during Asian trading. Today at 2:15 pm, the Governor of the Bank of England Mark Carney will deliver a speech, while at 16:00 in the United States, information on the number of sold houses will be published, which can also be reflected in the exchange rate of this currency pair. During the Asian trade, the British pound strengthened against the US dollar by 0.07%. The US dollar strengthened against the Japanese yen during Asian trading. The news that the Senate of the US Congress adopted the final version of the tax reform bill, strengthened the US dollar. At 16:00 hours in the United States, information on the number of sold homes will be published, which can also be reflected in the exchange rate of this currency pair. During the Asian trading, the US dollar strengthened against the Japanese yen by 0.12%. Gold prices strengthened during Asian trade. After exhibiting the final version of the law on tax reform in the Senate of the US Congress, the price of gold slightly strengthened. At 16:00 hours in the United States, information on the number of sold homes sold will be published, which can be reflected in the price of this precious metal. During Asian trading, the price of gold increased by 0.16%. During Asian trading, the price of gold increased by 0.16%. During Asian trade, the price of crude oil has strengthened. Yesterday’s report by the US Petroleum Institute on crude oil stocks showed a higher decline in stockpiles than expected, which has affected the rise in crude oil prices. Today at 4:30 pm, the US government will publish a report on the stocks of this fuel, which can also affect the price of this fuel. During the Asian trade, the price of crude oil increased by 0.24%. Dax30 declined by 0.72% on Tuesday. The highest growth was registered in the food industry, technology and transport. Of the winners, Lufthansa (+ 1.58%) and the loser of Deutsche Bank (-1.73%) were singled out. The index of volatility on the German index, which shows the sentiment (fear) of the investor regarding the expected volatility in the future period, has increased to 12.03 points, ie it has increased by 4.51%. During the Asian trade, the euro recorded a slight increase against the dollar. This morning, the euro is exchanged for $ 1.2299, which at the beginning of the European session shows a strengthening of the euro by 0.11%. At 2:15 pm, the US Labor Market Report (ADP) will be published as an overture to the official government (NFP) report on Friday. At 15:45, Markit’s report on the indicator (sentiment) of activities in the US service sector is expected, as well as the aggregate indicator for the entire economy. During the Asian trading, the dollar weakened slightly against the British pound. This morning, this currency pair is at $ 1.3518 per pound, which means a symbolic pound increase of 0.01%. At 10:30, an indicator (sentiment) of economic activity in the UK service sector is expected for December. At 2:15 pm, the US Labor Market Report (ADP) will be published as an overture to the official government (NFP) report on Friday. At 15:45, Markit’s report on the indicator (sentiment) of activities in the US service sector is expected, as well as the aggregate indicator for the entire economy. During Asian trading, yen weakly weakened against the dollar. This morning, this currency pair is traded at 112.58 yen per dollar, which makes the dollar a stronger yen by 0.06% at the beginning of the European session. At 2:15 pm, the US Labor Market Report (ADP) will be published as an overture to the official government (NFP) report on Friday. At 15:45, Markit’s report on the indicator (sentiment) of activities in the US service sector is expected, as well as the aggregate indicator for the entire economy. The price of gold has been declining slightly during the Asian trade. The notes from the last Fed meeting showed that members of the monetary committee were hawkish. During Asian trading, the price of gold is around $ 1310 for a fine ounce. During Asian trade, crude oil prices are rising. The growing sentiment is supported by a falling dollar, mild geopolitical instability, and excellent indicators from China. At 17:00, a weekly weekly stock report will be published in the United States. At the end of the Asian session, crude oil is traded at around $ 62.20 per barrel, which gives an increase of about 0.92%. During the Asian trading, the euro registered a symbolic decline against the dollar, confirming its long-term upward trend. This morning, retail data in Germany for November was well above expectations. At around 8:40 am, the euro is exchanged for $ 1.203, which at the beginning of the European session shows a symbolic gain of 0.03%. At 11:00, preliminary data on inflation for December in the euro zone will be published. At 2:30 pm, a regular (NFP) report from the US labor market will be published, as the most important macroeconomic indicator this week. During Asian trading, yen weakened against the dollar. At around 8:40 am, this currency pair is traded at 113.09 yen per dollar which at the beginning of the European session makes the dollar stronger compared to the yen by 0.3%. At 2:30 pm, a regular (NFP) report from the US labor market will be published, as the most important macroeconomic indicator this week. The price of gold has been slightly declining during the Asian trade since the US dollar is recovering after yesterday’s published solid data (ADP) on employment. During Asian trading, the price of gold is around $ 1,318 for a fine ounce. At 2:30 pm, a regular (NFP) report from the US labor market will be published as the most important macroeconomic indicator this week, which can be reflected in the price of gold. During Asian trade, the price of crude oil declined. Yesterday, regular hourly data from the United States was of mixed character (stocks of crude oil dropped more than expected, but derivatives of stocks rose). Before the end of the Asian session, crude oil is traded about $ 61.78 per barrel, which gives a drop of around 0.37%. 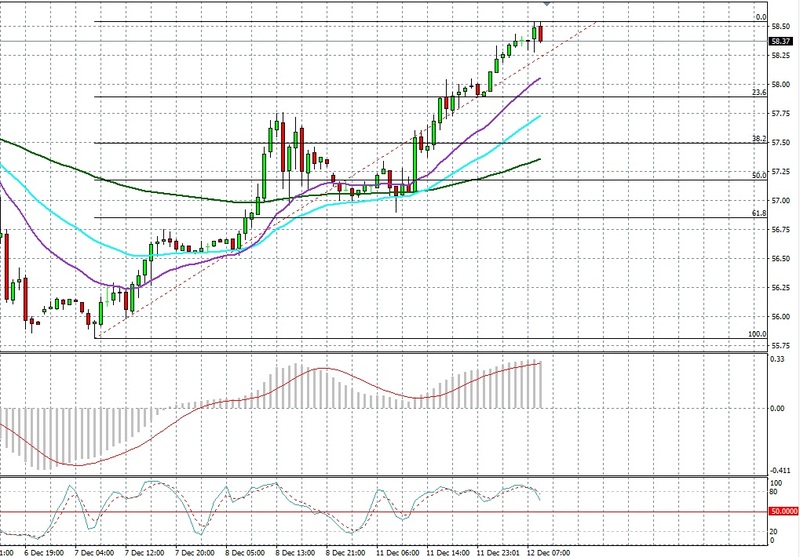 Dax30 rose on Thursday (+ 1.46%), closing at 13168 points. This morning, retail data in Germany for November was well above expectations. The winner of the day was the shares of Linde (+ 3.07%).